As you can see, SUU’s General Catalog has a new look and an entirely new navigation system. Rather than a series of PDFs, our new online catalog is an easily searchable and highly interactive website. The Keyword and Advanced Search function on the top left of the homepage have been designed to make it easy for you to seek out information anywhere in the catalog website. The FAQ’s also contain links to sections of the e-catalog students most often seek. And, should you need to print a page from the catalog, you will see the “Printer-Friendly Page” icon on the top right side of each webpage next to the Help button. You will also now be able to bookmark webpages you regularly visit in the catalog. Lastly, listed below are descriptions of some of the key content areas of the e-catalog. While we strive for accuracy in our 2012-13 catalog, we also recognize there may still be errors you find. 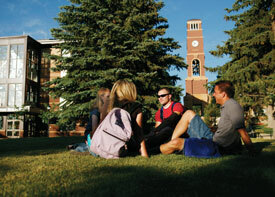 Please e-mail catalog@suu.edu with any corrections or comments you may have. We have tried to make this catalog as easy to use as possible, but you will probably still have questions. For questions regarding your academic program, you should contact your adviser (or the Career and Professional Development Center, if you have not chosen a major). For questions on other issues (for example, admission, registration, fees) contact the offices listed in the appropriate section.